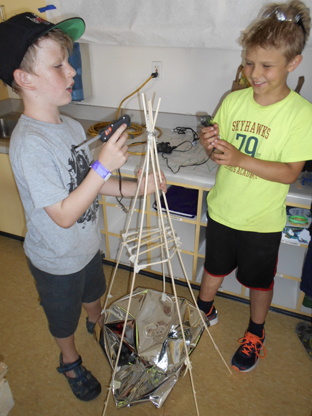 Our Programs are designed to encourage creativity, learning and exploration. Inspired by the Reggio Emilia philosophy, our Doodle Primo program envisions children as active protagonists of their own learning. We foster experimentation, a sense of wonder and discovery through a weekly inquiry theme. We let kids’ minds run free and allow them to discover who they are going to be on their own, as opposed to pushing them through pre-defined lessons. Grow their natural disposition for learning and innate curiosity. Express themselves through many different ‘languages’ including speech, writing, drawing, painting, music, movement, and phenomena explorations among others. Our cozy 6:1 child-to-instructor ratio allows our early childhood educators to provide extra love and support to our children as they drive their own discovery process. This part of the day is really the kids’ time to decide where they want to take the direction of their day. They might go on a walk outside, listen to a story, look at artwork, or brainstorm as a group to spark their ideas for how they want to tackle today’s inquiry theme exploration. Here, children develop, explore, and test their theories about the inquiry theme through hands-on activities utilizing a variety of real tools and media – all under the guidance of early childhood educators. The tools and media we’re talking about may include things like traditional and non-traditional art materials, wood, metal, magnets, natural and recycled materials, kid-sized hammers, screw drivers, ratchets, sand paper, paint brushes, etc. This is where children get to build their skills using various manipulatives, tools and media on projects of their choice and at their pace. Basically, we let them choose their own path and then explore that under our supportive coaching. This one is pretty self explanatory. Children will have plenty of dedicated play time to foster their imaginations and develop the social skills that are so important for young children. Every Friday afternoon, children will help curate a culminating exhibit of their week’s work. Families are welcomed and encouraged to join. Our Doodle Spark program is inspired by the ‘maker-empowerment’ pedagogy put forward by the Harvard Graduate School of Education and its Project Zero research organization. We’re incredibly serious about our program being grounded in real academic research and not just a bunch of mumbo-jumbo and words that you don’t understand. Become aware of the designed or ‘made’ aspects of the world around them. Begin to recognize themselves as creatively talented people who feel empowered to change things through making. *Learn more about the truly inspirational research and educators from the Harvard Graduate School of Education, Project Zero, and its Agency by Design project. Our projects are specifically designed for the age of the child. 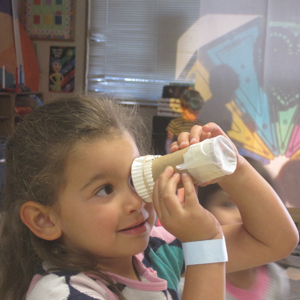 Our 1st – 2nd graders focus on the form and function of the objects around them. Our small 8:1 child-to-coach ratio ensures lots of individual attention throughout the creative process. The best mentors can change the way we see ourselves and the world. We want to give that same love and support to our kids – so we do. These are the seasoned veterans at Doodle whose out-of-the-box thinking constantly breaks new barriers. Using more advanced tools, they take projects one step further by considering how they engage with the world around them and how they might change that user experience. It’s a pretty amazing thing to see. Grab your favorite tools (hammers, screw drivers, ratchets, sanders, hand saws, files, pliers, wire clippers, etc.) and materials from our workbench as you imagine, design and build unique solutions to daily challenges. Took something apart and have no idea how to put it back together? No problem. Thought your invention would produce one result and something totally different came out instead? Fantastic. You don’t learn when things go exactly according to plan. You learn when you prototype, iterate, and discover unexpected solutions. This isn’t your average art room. Not even close. You can choose from all kinds of different traditional and non-traditional materials to bring your ideas to life in 3D. You will reimagine and redesign spaces. You will bring the outdoors inside and the indoors out. You will design, build and run your own carnival. You may even splatter paint a massive mural. Ever yarn-bombed something before? Neither had we until recently… and it is pretty amazing! This is where you can do what you already love and find new things you’ll love too. Choose from several specialty activities that will be offered each day and rotate throughout the week. You can make pasta in Culinary Arts, sew a beanie or make jewelry in Fabric Arts, sculpt / paint / draw / do print making in Classic Arts, act out a short skit in Performing Arts, make lanyards or friendship bracelets in Crafts, bring your own skateboard and safety equipment for Skate Boarding class, ride your own bike or scooter with safety equipment, continue an earlier project in the Maker or 3D Arts Lab, or take apart something just for the fun of it – because honestly, why the heck not? This is a dedicated daily period just for sports and games. Everyone needs more play in their life, even kids. It’s good for our cognitive, social and physical development, as well as it makes life a whole lot more fun. Not a huge traditional sports fan? Don’t worry – we choose sports and games that stress teamwork and fun and are not competitive or skill-based. Trust us, you will have a blast! Older kids and teenagers have an opportunity to develop leadership skills and gain valuable experience working with younger children through our Leaders-In-Training (LIT) program, while under the supervision of a mentor Creative Coach. 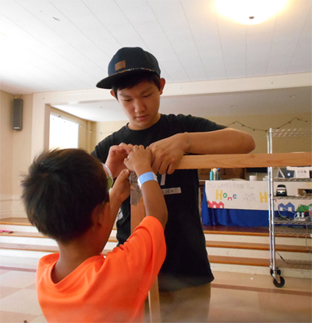 LITs are given responsibility to assist with general camp operations as well as guide younger campers through projects. Come for one session or stay for the entire summer! Learning to work with kids in a camp setting, such as redirecting behavior, engaging them in conversation and encouraging participation. Communication with adults and peers in a professional manner. Collaboration as a LIT team, planning and executing camp programs such as skits, assemblies and activities. Perseverance and flexibility when things don’t go as planned.